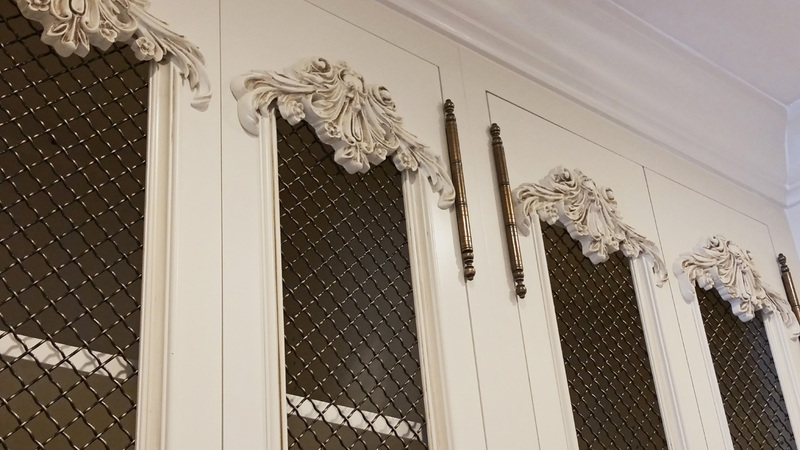 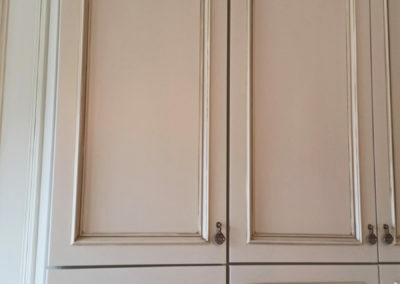 We can breathe new life into your outdated cabinetry or furniture with a durable and lasting paint finish that is cost-effective and eco-friendly. 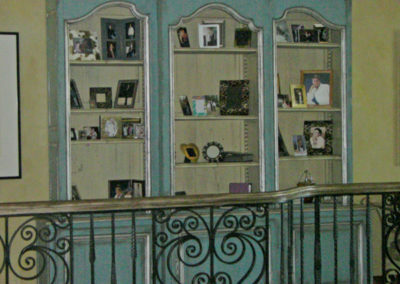 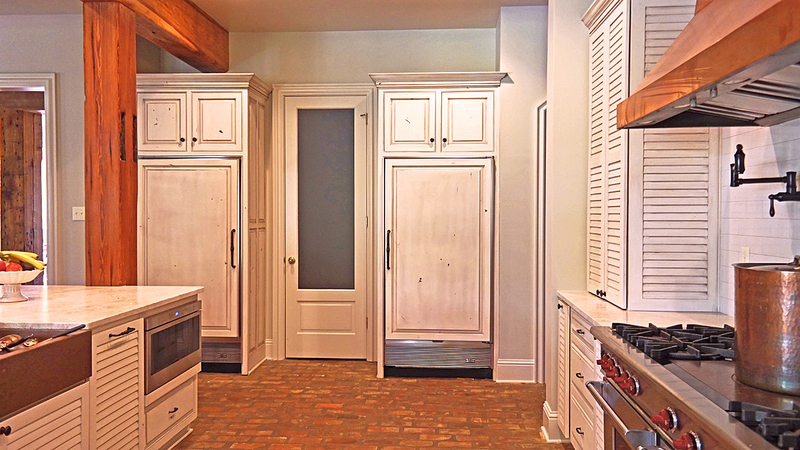 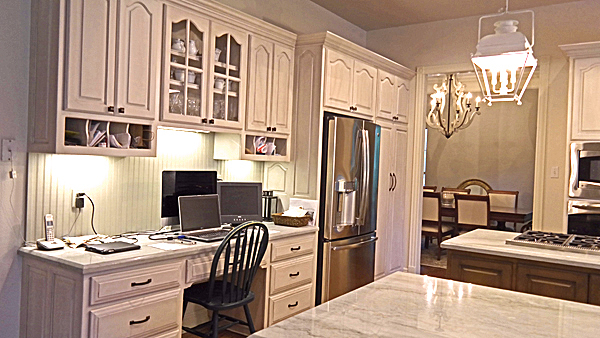 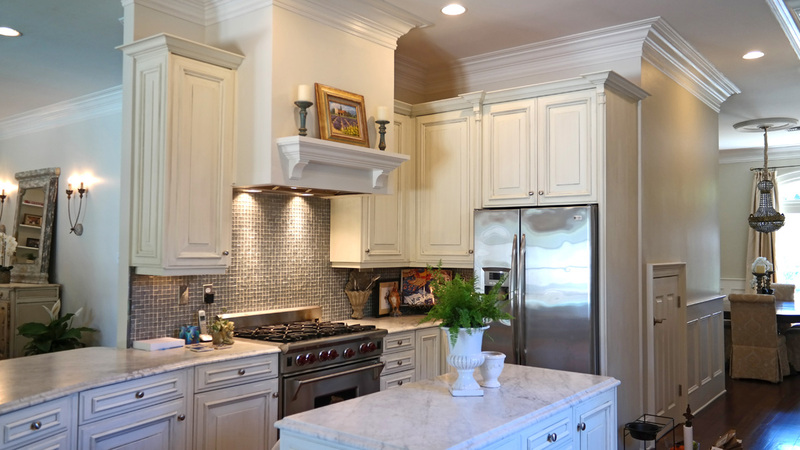 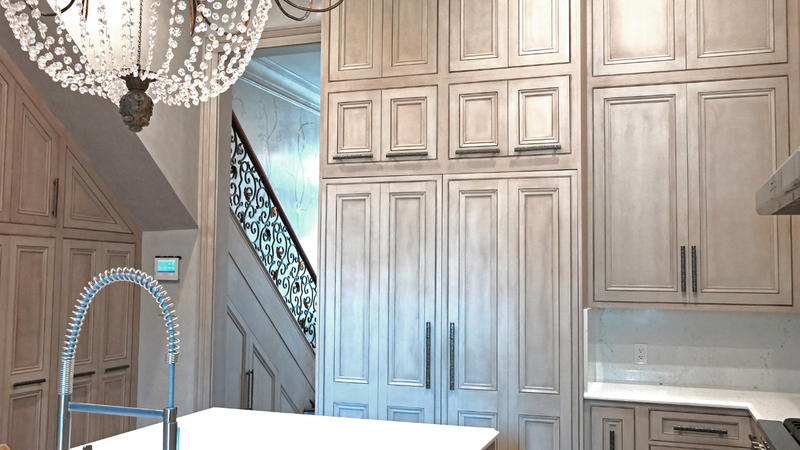 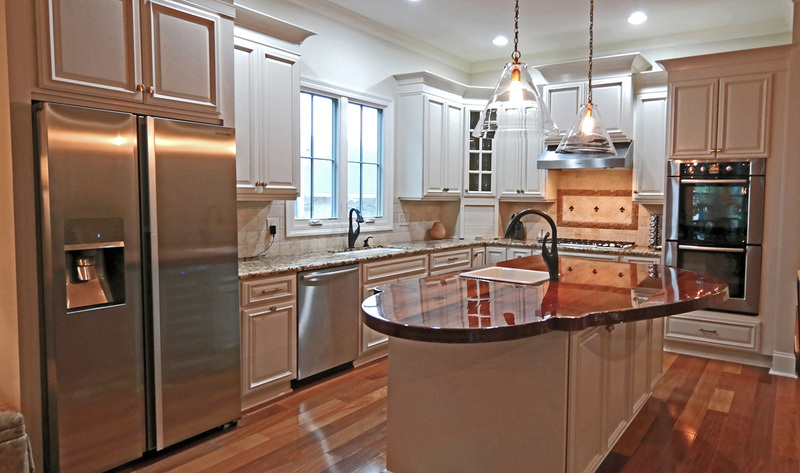 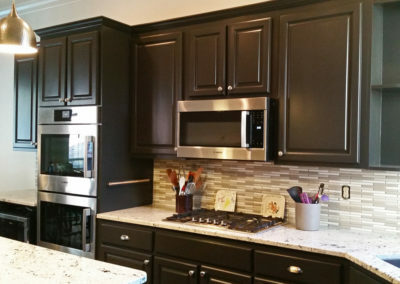 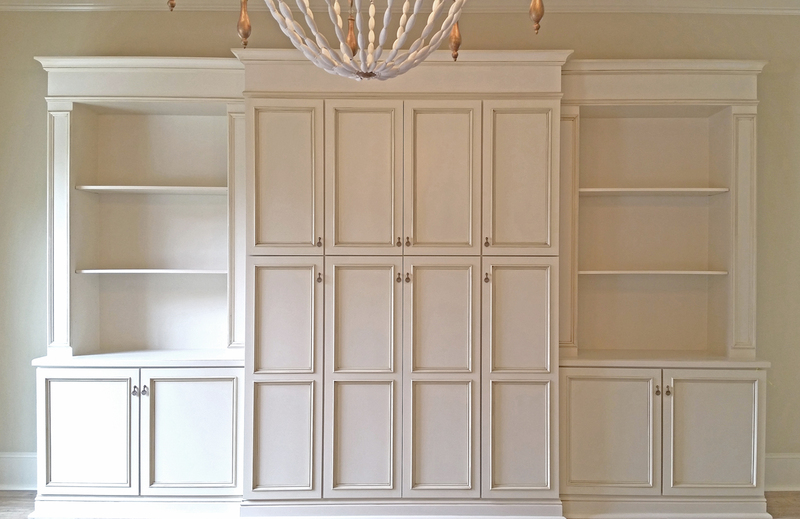 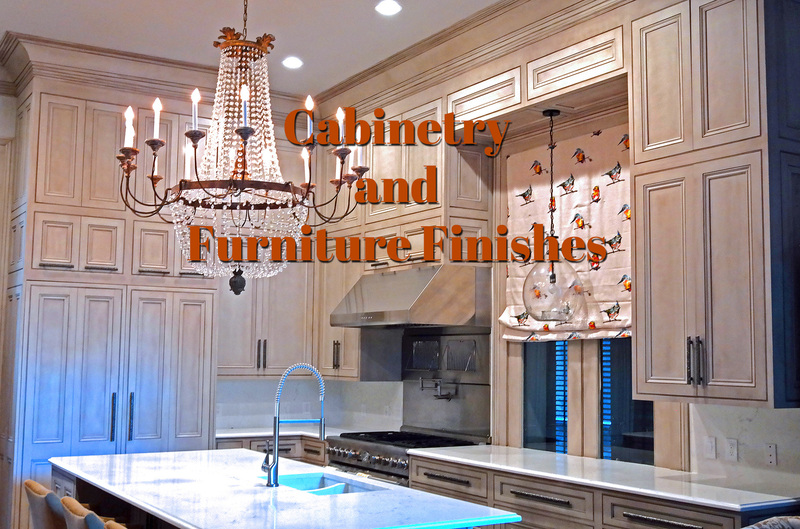 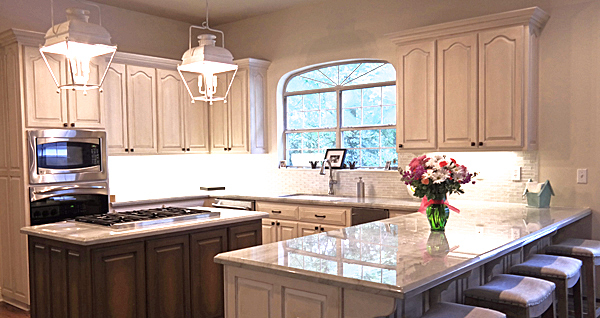 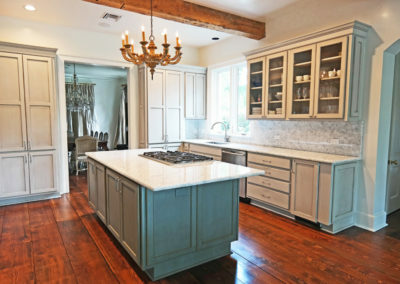 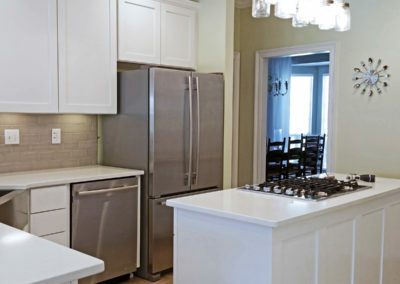 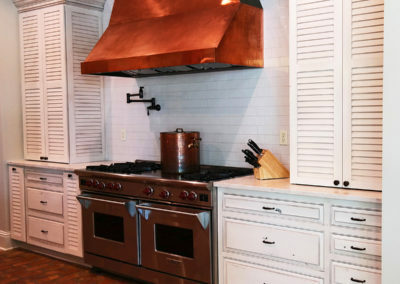 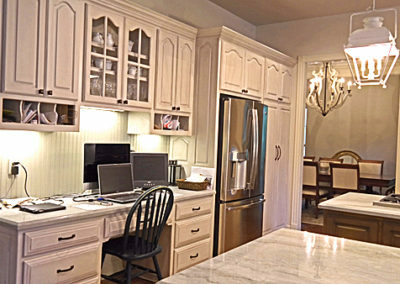 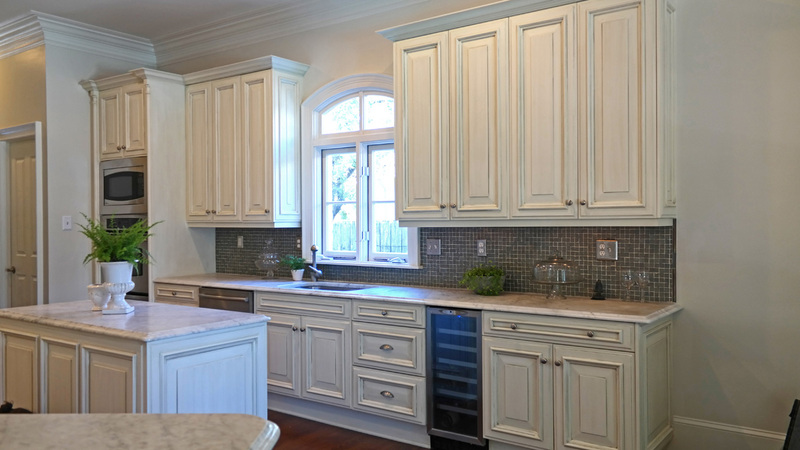 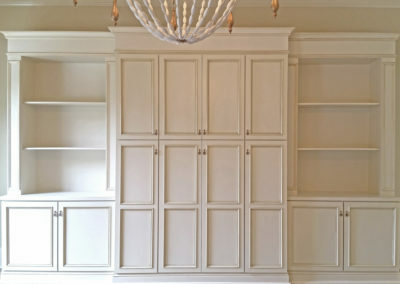 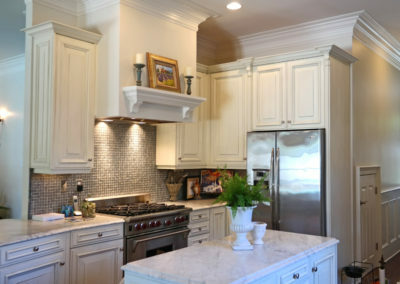 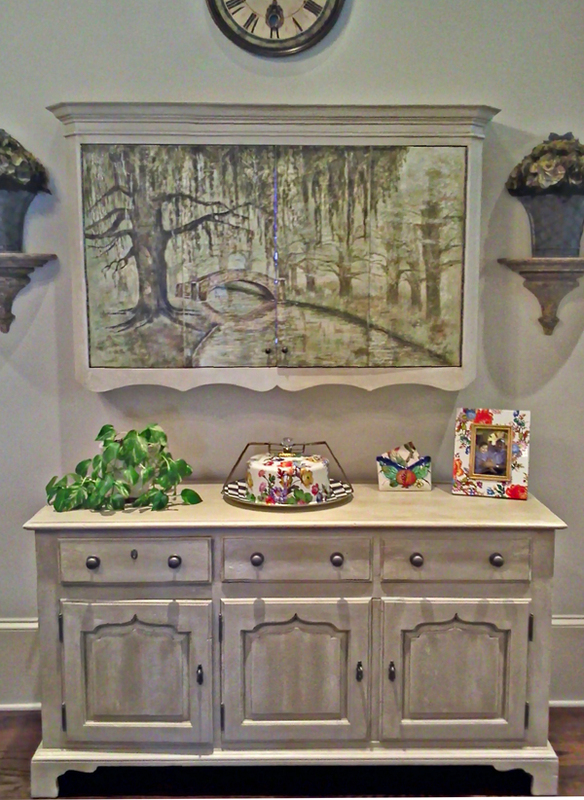 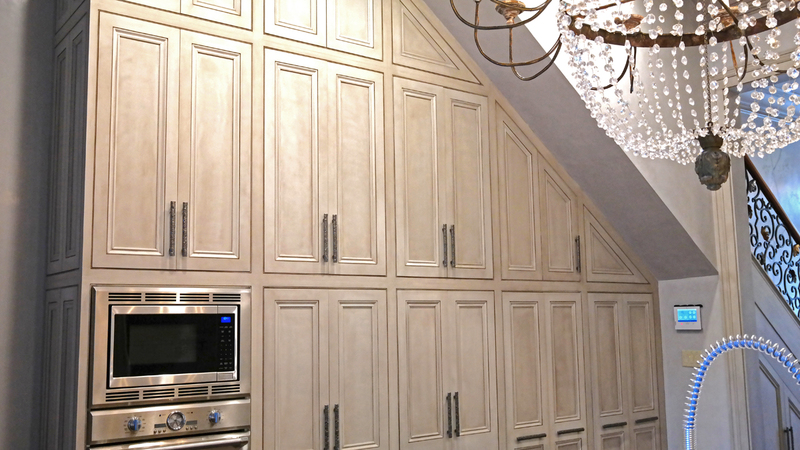 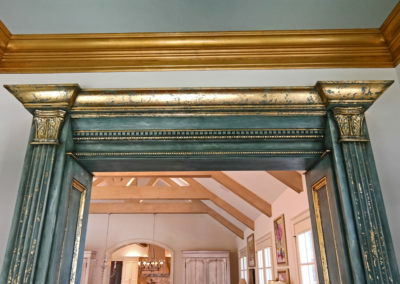 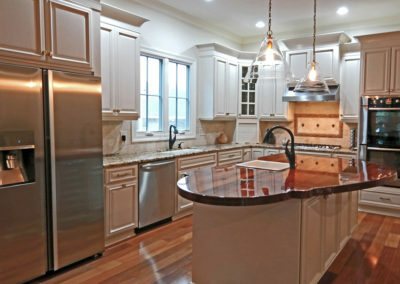 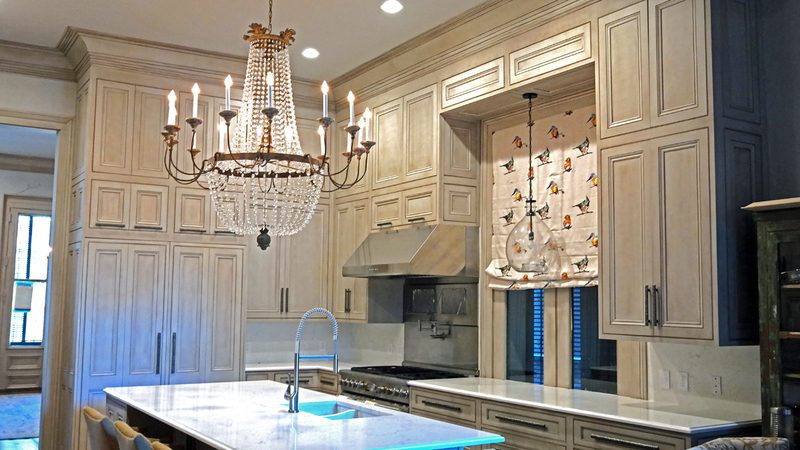 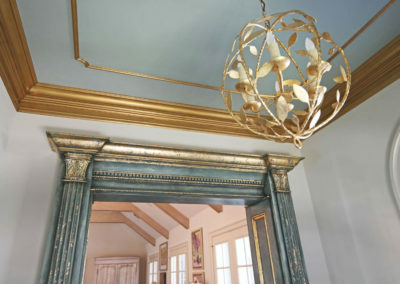 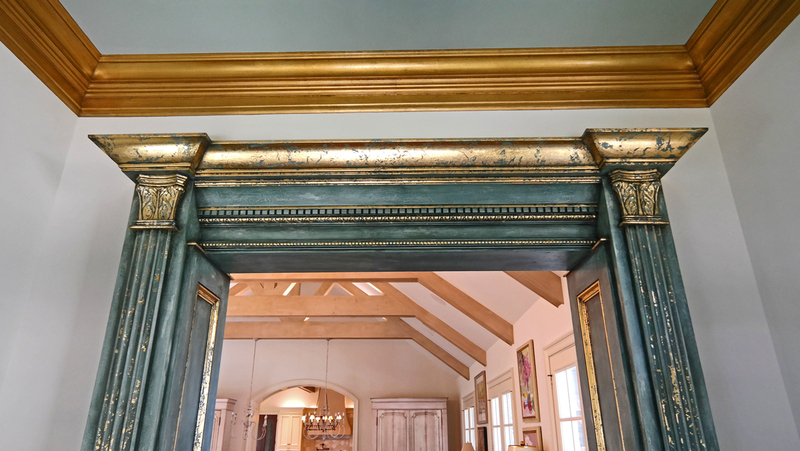 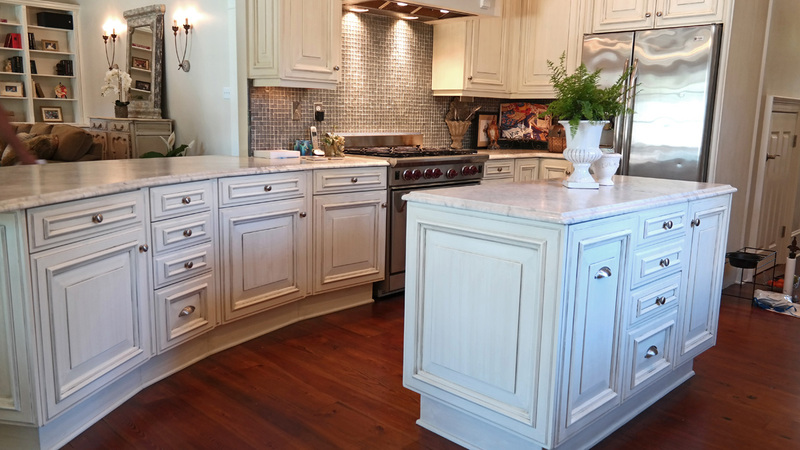 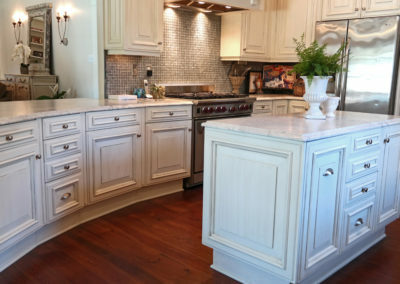 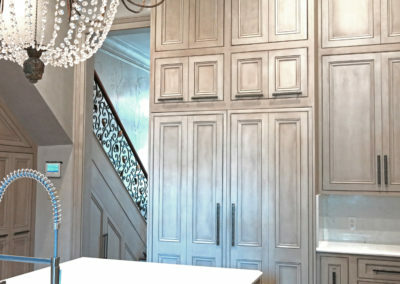 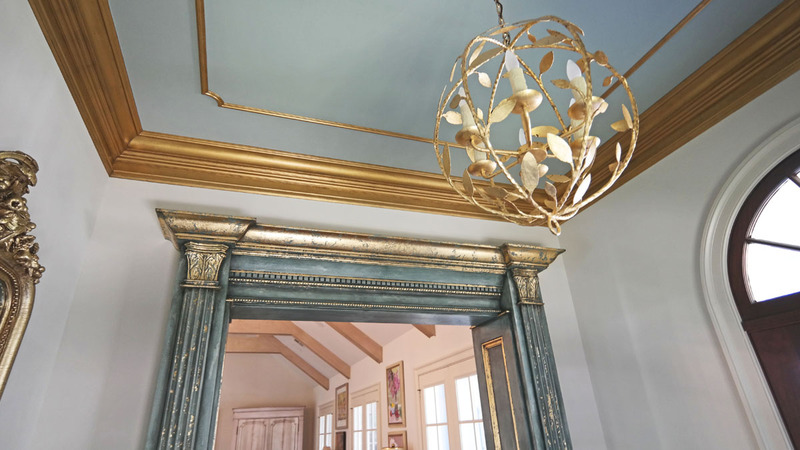 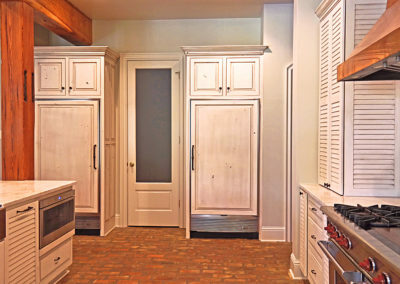 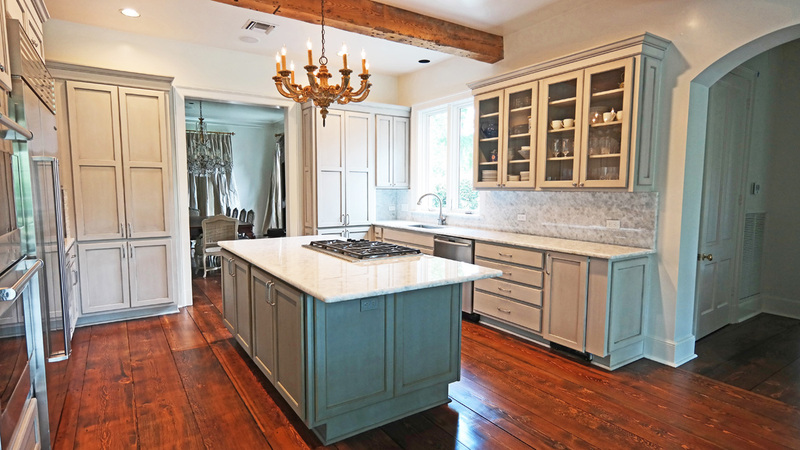 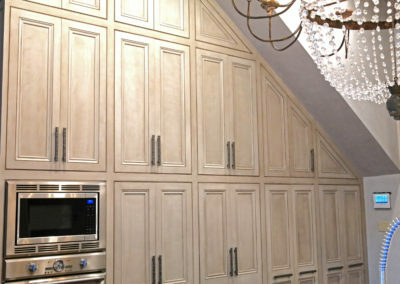 Sylvia T. Designs is your go-to for cabinetry and furniture finishes. 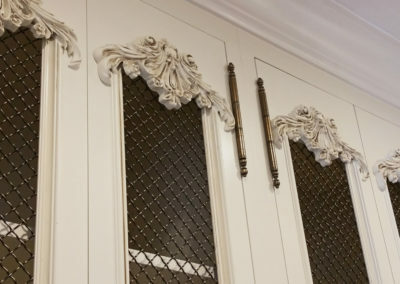 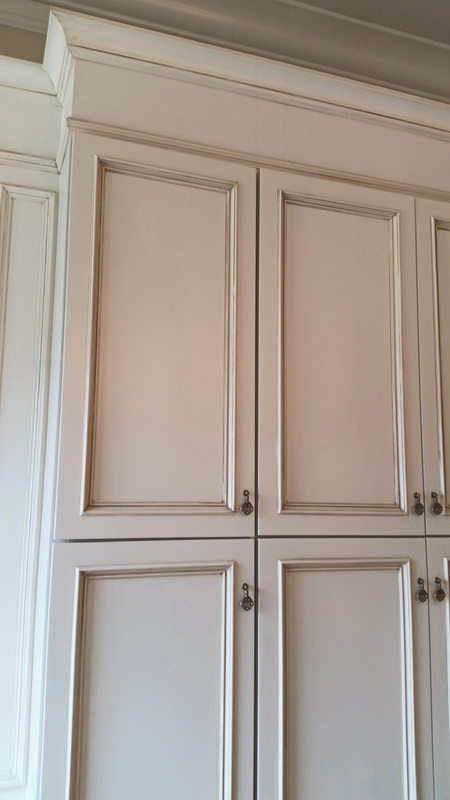 Don’t replace your stained, tired kitchen cabinets or that dated piece of furniture. 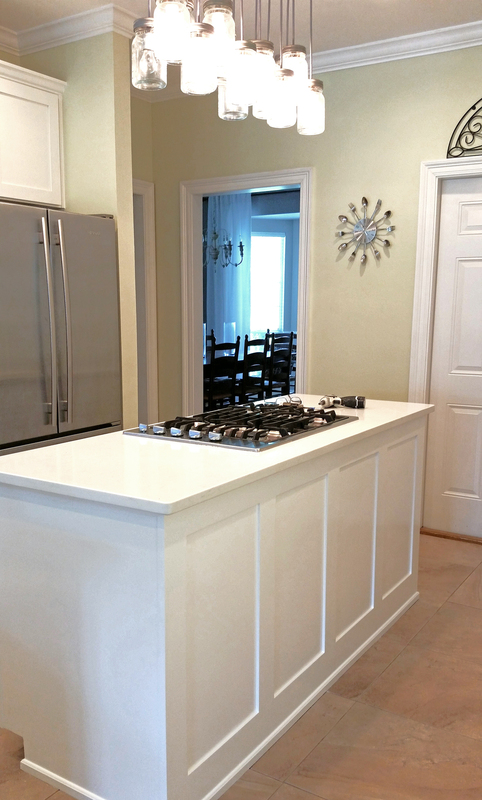 We can achieve a transformational look at a fraction of the cost of replacement. 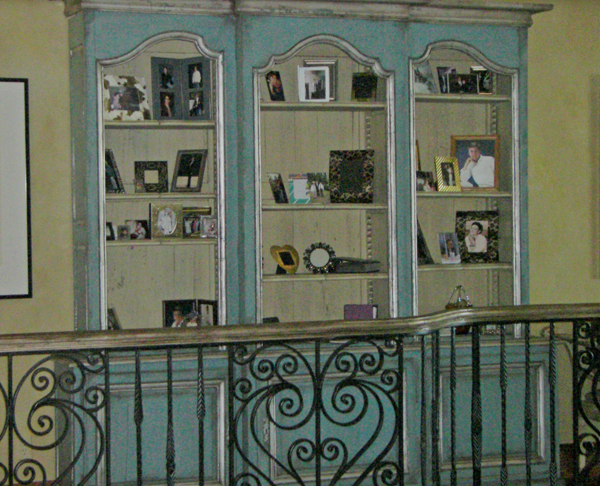 We can assist you with choosing the colors and finishes needed to tie your space together. 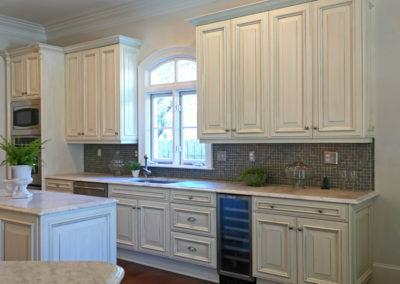 As your cabinetry finish experts, we can create your desired look that will breathe new life into your kitchen, bathroom, or washroom. 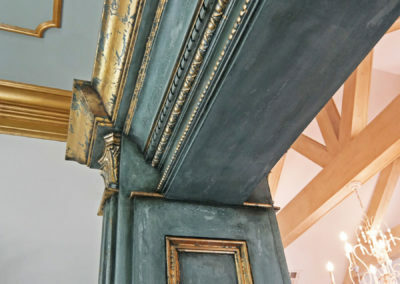 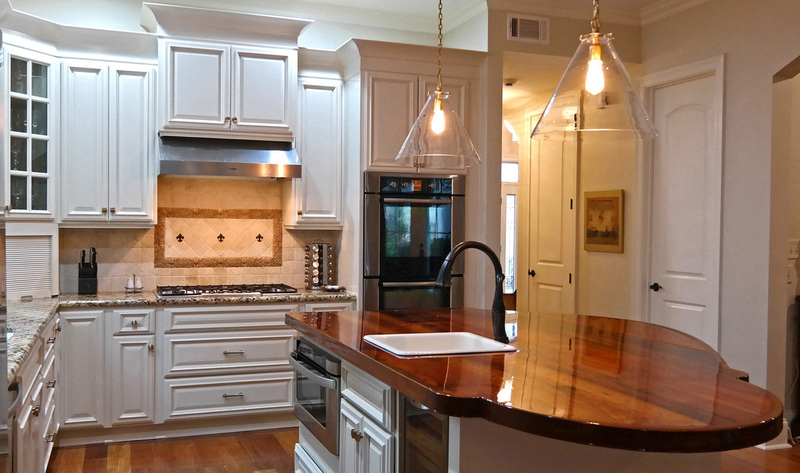 This includes color refinishing in a matte or semi-gloss finish, glazed finishes, crackled finishes, traditional stained and wood grained finishes, contemporary high gloss finishes, and more! 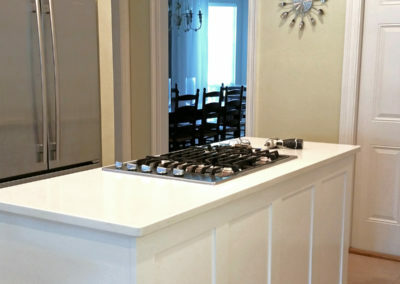 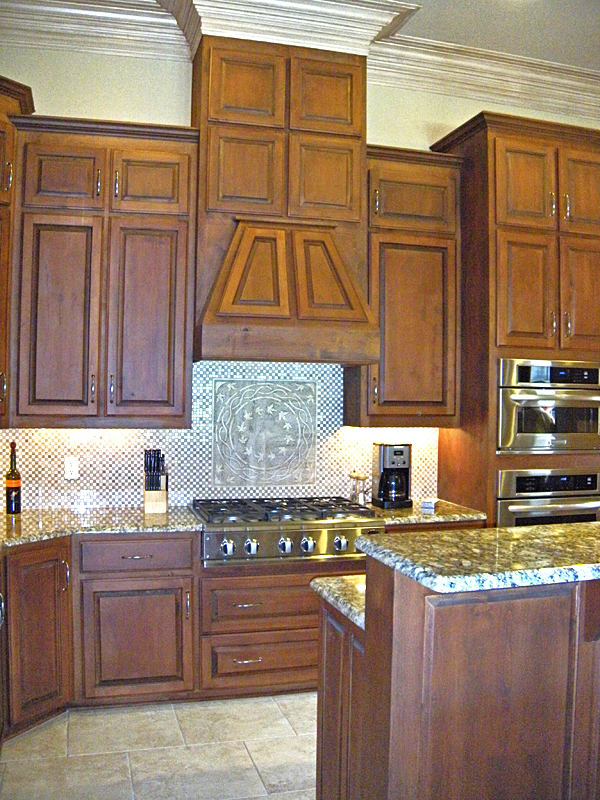 All of the products we use are kitchen cabinet grade, are easily cleaned, and made to last for years. 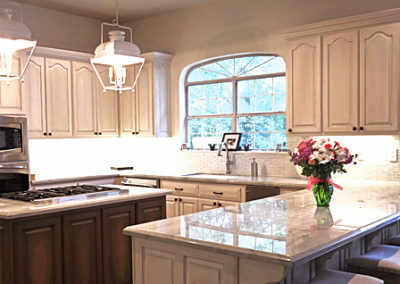 They are eco-friendly and low in undesirable volatile organic compounds (VOCs). 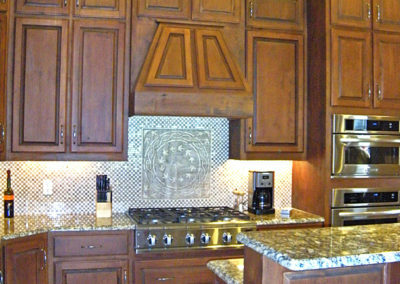 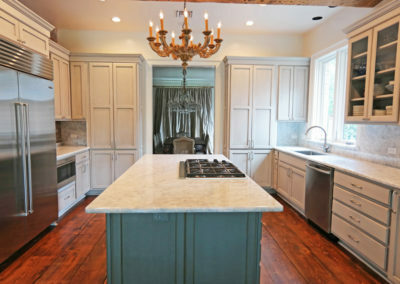 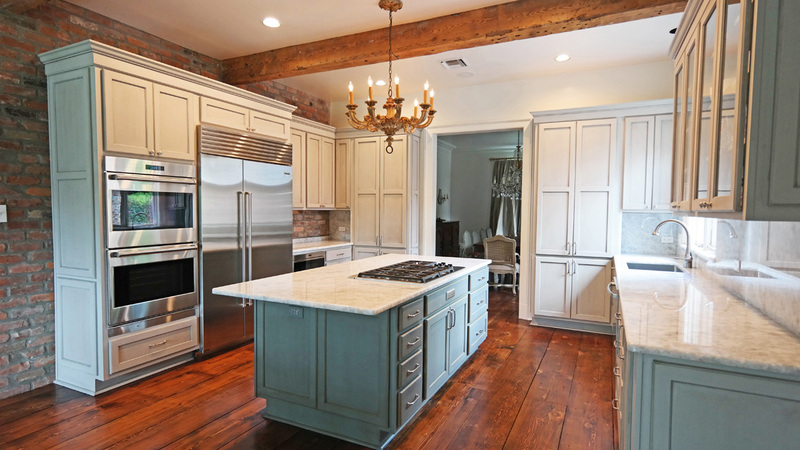 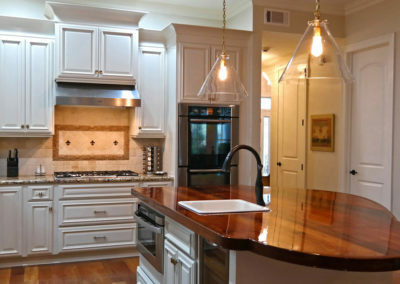 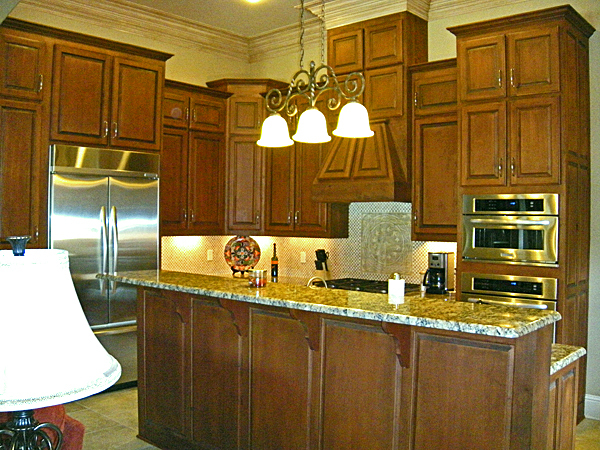 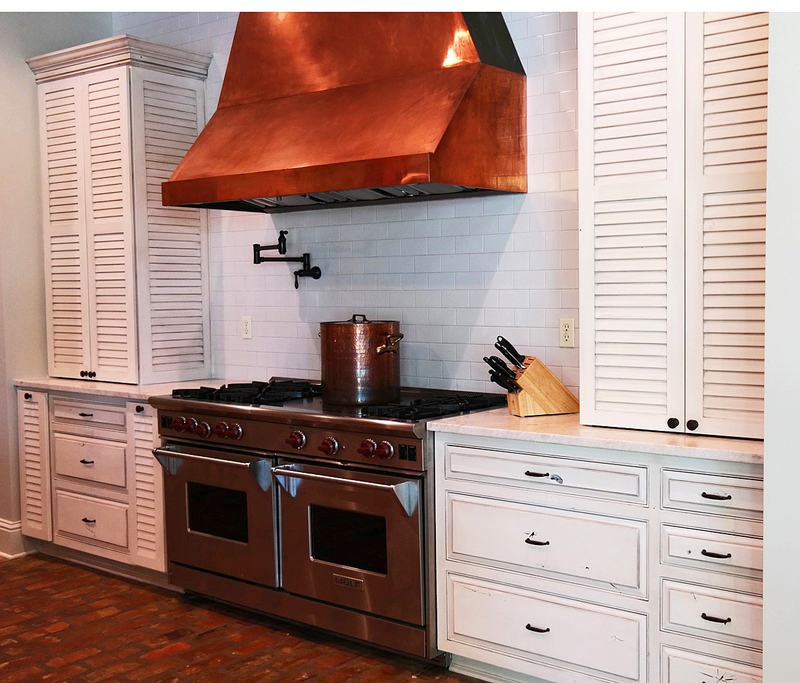 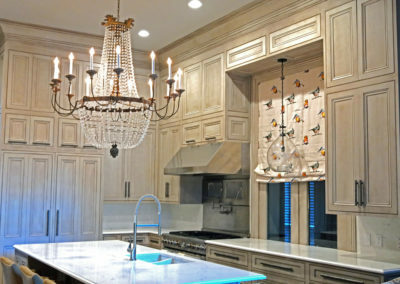 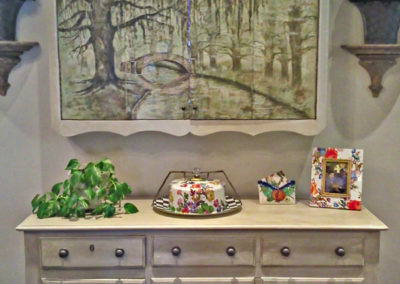 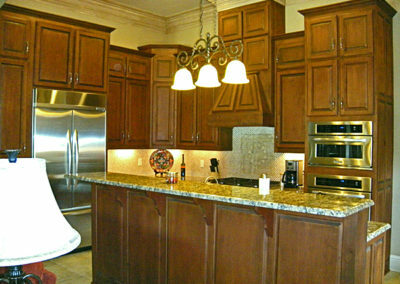 Kitchen Cabinet Refinishing, New Orleans by Sylvia T Designs. 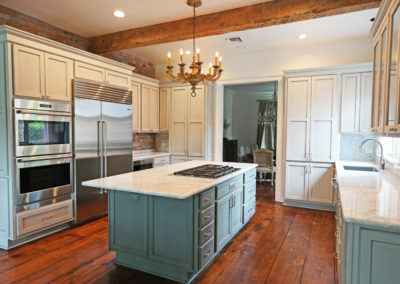 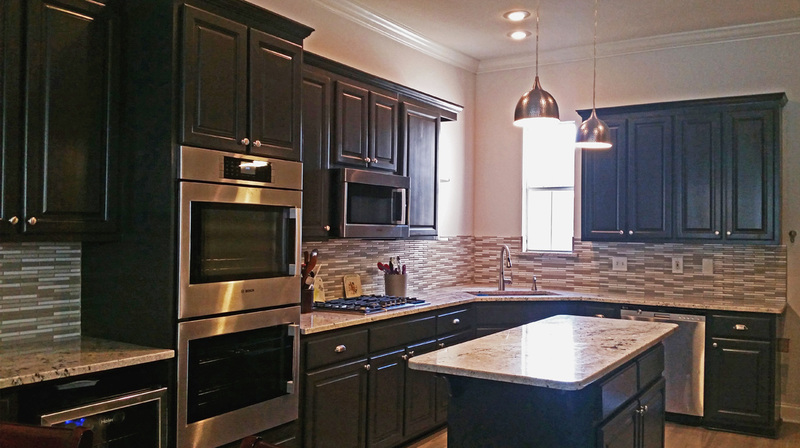 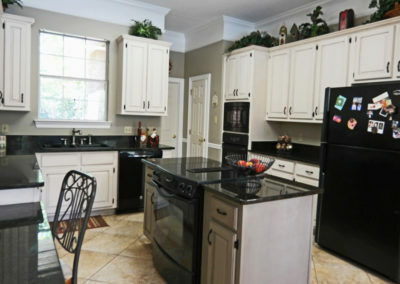 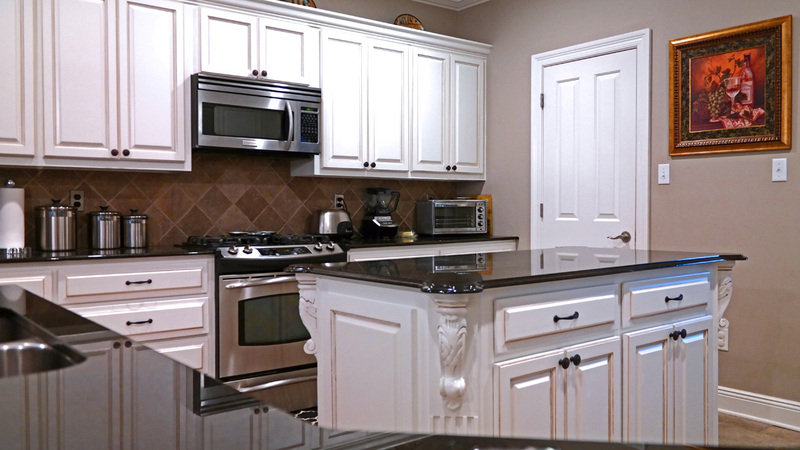 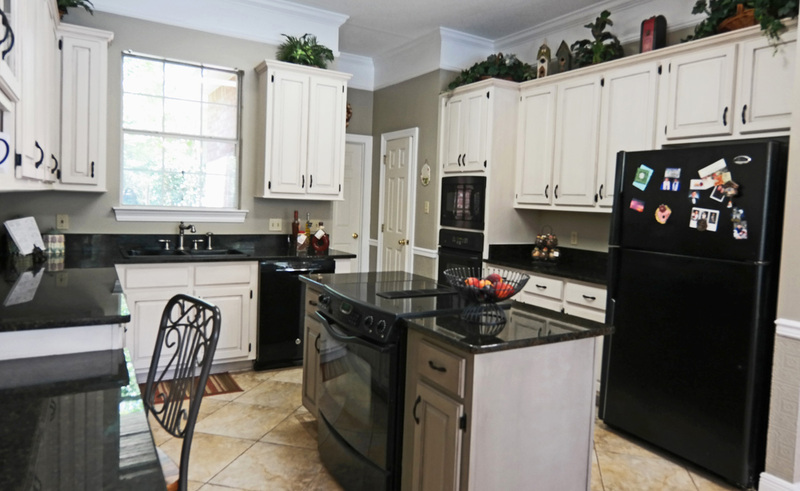 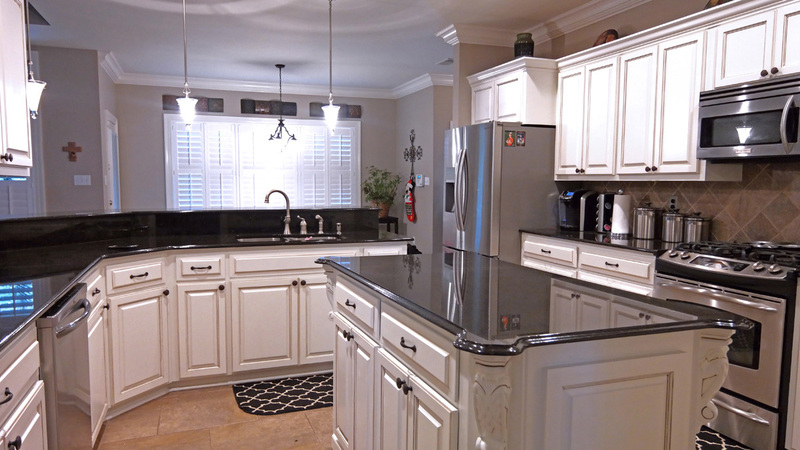 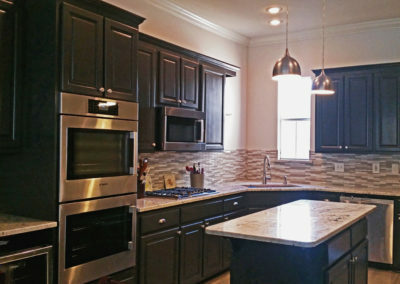 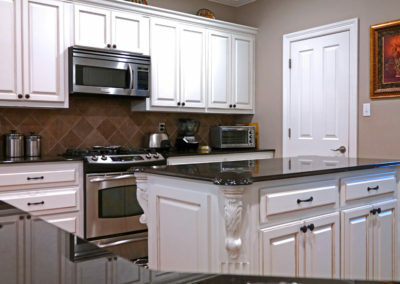 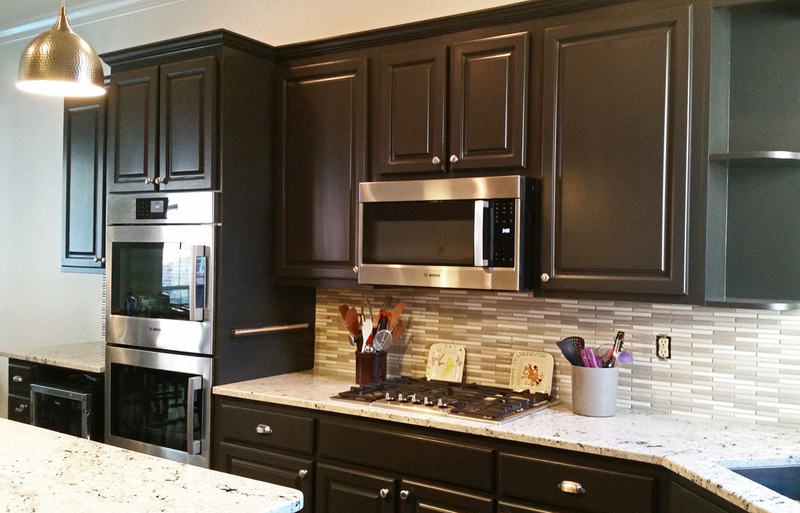 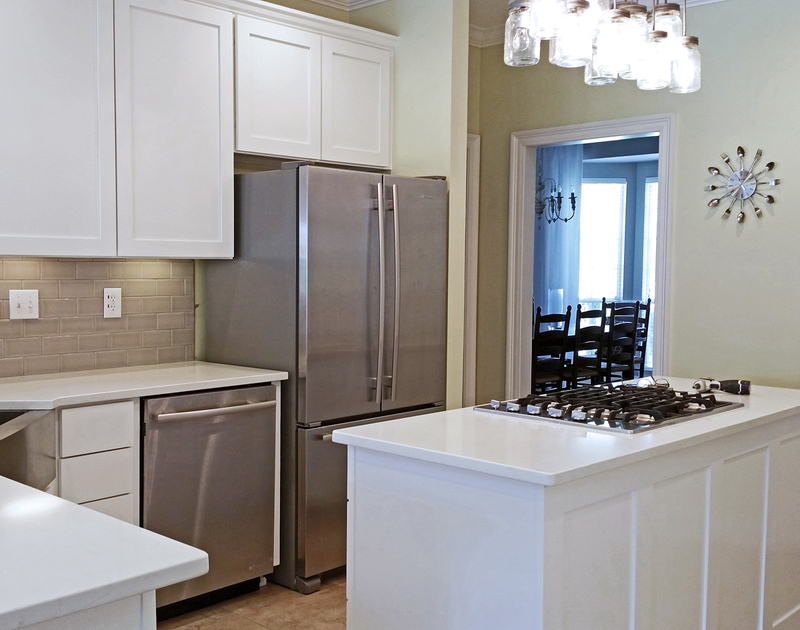 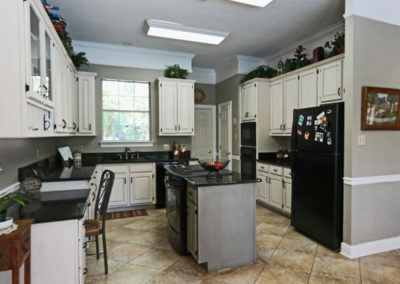 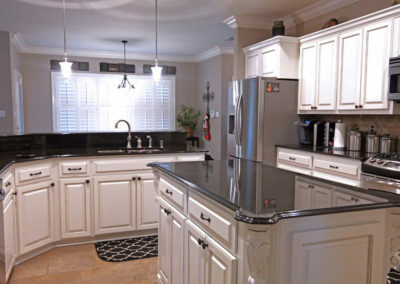 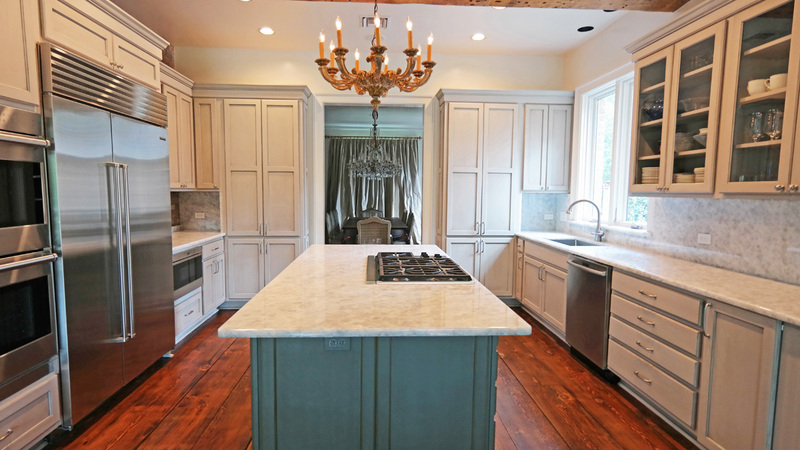 Kitchen Cabinet Refinishing in Old Metairie by Sylvia T Designs. 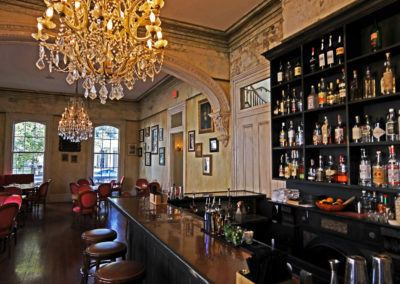 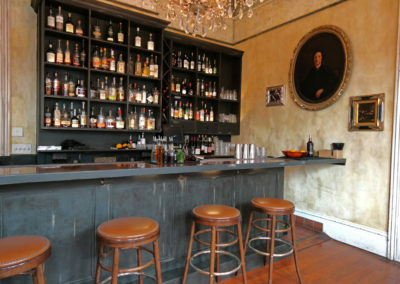 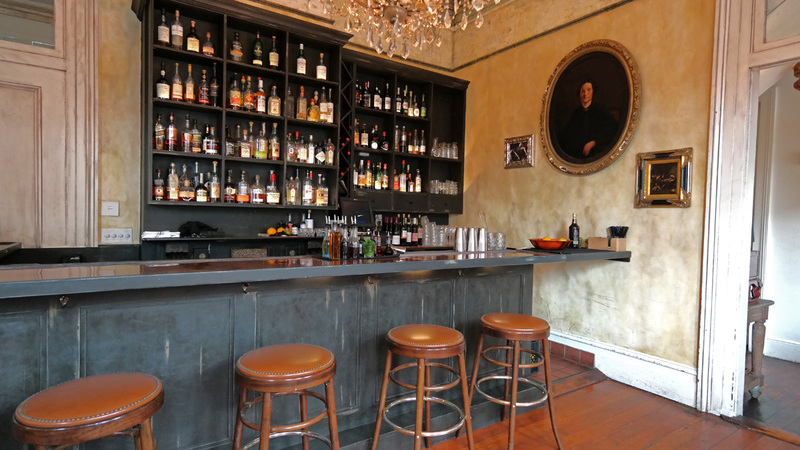 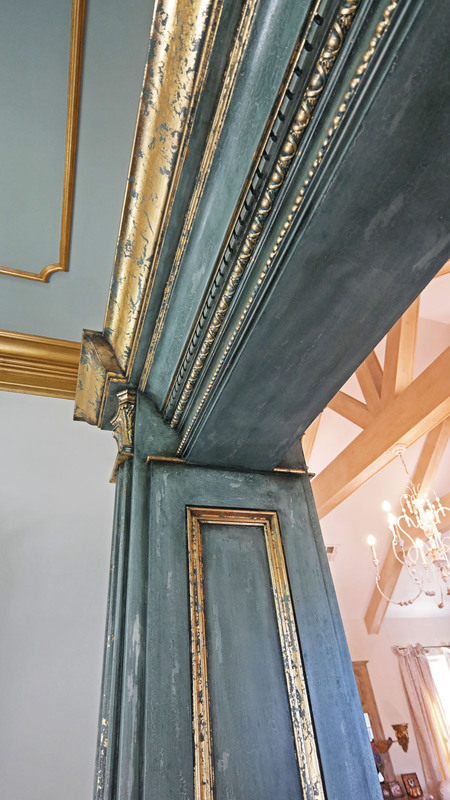 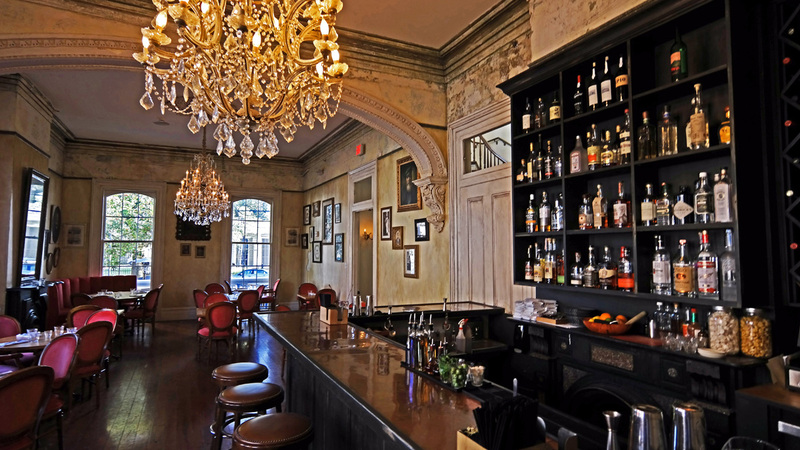 Cavan Restaruant & Bar, New Orleans – Old World wall glazing and bar finishing.